Once the feelings of panic start to set in, these thoughts have a way of taking over and can give rise to intense fear and pain. When a panic attack strikes, sufferers are often too overwhelmed by the panic to feel able to think about ways to manage the situation. If you are armed with some coping strategies before a panic attack strikes, it can be possible to reduce the intensity and even prevent panic from happening at all. 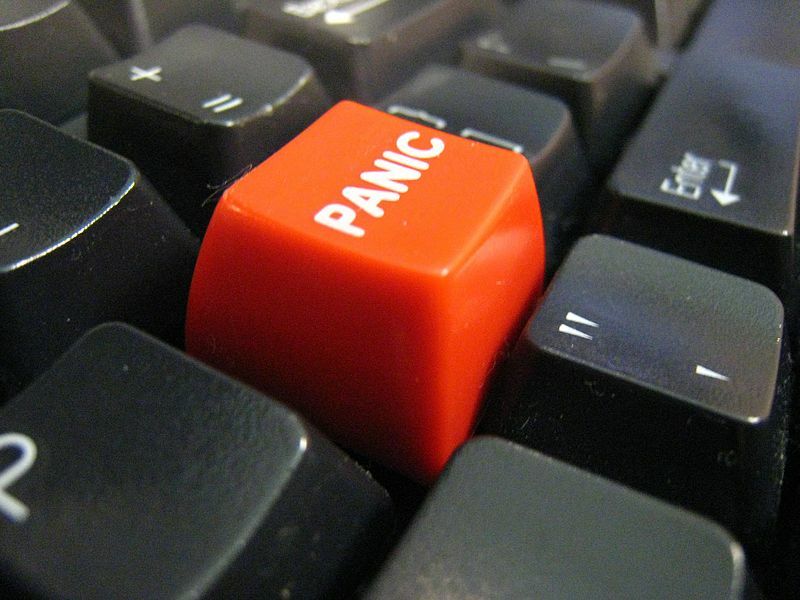 Here are ten useful tips for dealing with panic. Read this list and keep it handy so you can be prepared the next time you feel panicked. Be present. When you are experiencing a panic attack, try to acknowledge the situation and look at it realistically. Tell yourself, “I’m having another panic attack. This will be a good chance to try out one of my new coping strategies.” Ask yourself if you are really in physical danger or if you’re just experiencing discomfort. Remind yourself that you’ll get afraid, but then you’ll eventually calm back down again just like you always do. Try to resume whatever activity you were engaged in before the attack set in and try to be more present in the moment, using your surroundings to help steer your thoughts away from your fears. Talk to yourself. When you start to feel yourself panic, try to talk yourself out of your feelings. Play the role of a concerned family member or friend who shows the lack of evidence in all of your worry based “what-ifs”. State the cause of your worry out loud, and then try to find fault with all of your reasoning. For example, if you say you’re feeling nervous about an upcoming meeting at work, take on the role of spoiler and state out loud, what you have done so that you are prepared, point to specific evidence that shows you can do your job (e.g. positive feedback, completing important tasks etc. ), and remind yourself even if you feel uncomfortable or nervous on the inside, others are unlikely to notice this. Breathe. During a full-fledged panic attack, your breathing becomes more rapid as your body prepares for a fight-or-flight reaction. Place one of your hands on your diaphragm and the other on your upper chest. Breathe slowly in through your nose and take a deep breath for five seconds. You’ll know you’re doing it correctly if the hand on your diaphragm rises as you breathe whilst the one on your chest stays still. Then slowly exhale through your nose for another five seconds. Focusing on the counting and hand placement can help take feelings of panic down several notches. Exercise. Regular exercise can help release tension and lower blood pressure, two physical issues that many panic sufferers might face. Instituting an exercise regimen can have excellent long-term benefits, but it’s also useful as a quick fix. The next time you feel panic starting to creep in, pull out your jump rope or hop on the treadmill. Relax. Relaxing your muscles is the perfect way to counter feelings of panic. One popular approach involves isolating various muscle groups and then contracting and relaxing them one by one. Close your eyes and focus on curling your toes for five seconds, then release them. Move onto your feet and then slowly work your way up your body, focusing on contracting and relaxing one muscle group at a time. You should feel a lot calmer by the time you reach your face muscles. Distract yourself. When feelings of panic start to set in, distraction can be a good way to redirect your thoughts. A passive distraction such as watching TV might not be enough to shut off the panicky thoughts, so opt for a hobby that actively engages your mind such as reading or practising a foreign language. Meditate. Many people who suffer from feelings of panic, anxiety, and nervousness find that meditating can help. During meditation, your body remains still as you focus on one particular object, word, or even your own breathing pattern. This is also beneficial even when you’re not in the middle of overwhelming panic. So try meditating for ten minutes every day. Consider therapy. When your panic becomes too much for you to manage on your own, psychotherapy can be a good option. It can help you understand the roots of your panic and how reduce or remove unnecessary panic from your life. Cognitive behavioural therapy (CBT) can be particularly useful as it helps you to identify the negative thought patterns that contribute to panic attacks and change them into more positive ways of thinking. Talk to your doctor about medication. Some people suffering from panic disorders find medication can reduce symptoms. It can help take the edge off of an extreme situation so the physiology is less intense, making it more possible to cope. Join or visit a support group. Support groups for people who suffer from panic attacks and phobias can be a tremendous help. Many people feel reassured knowing there are others who can identify with their feelings, and sufferers are able to share coping strategies and inspire one another.